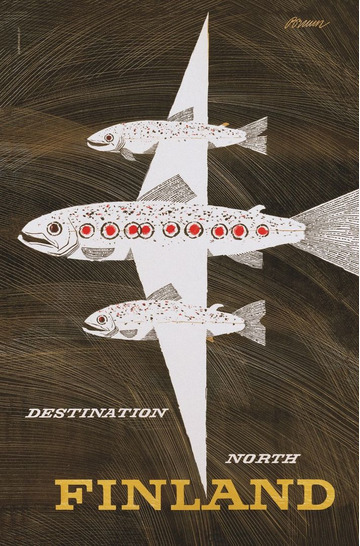 In Bruun’s posters one can always sense his typical tongue in cheek attitude. 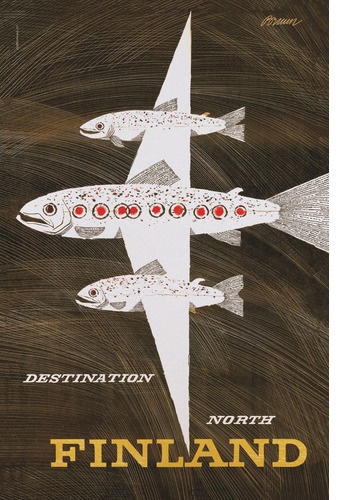 After Bruun himself flew to Lapland and saw the sport fishermen with their spinning rods in the cabin, he realized that fish would make the perfect symbol for the Lapland flight. 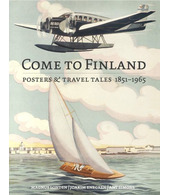 This poster was initially met with resistance by the client Finnair, “who would want to travel in a fish plane?”, but the poster later on became a success. Naturally enough.